Geneva, Switzerland - July 19, 2016 – MSC Cruises, the Swiss-based world’s largest privately-owned cruise line and market leader in Europe, South America and South Africa today announced exciting additions to its already rich on board family offering that include, amongst other, the introduction of an innovative kids sports programme as well also a kids-dedicated interactive cooking class designed with Michelin-starred chef Carlo Cracco. On-board its entire fleet, which is the most modern at sea, MSC Cruises provides a very extensive offering for families and their kids, including dedicated clubs segmented by age group as well as daily entertainment for all ages, family dining options, modern and fun-filled on-board facilities such as aqua parks and pools, bowling alleys and 4D cinemas, in addition to dedicated shore activities designed with the needs of the entire family in mind. New this summer is the DOREBRO sports programme, an on-board entertainment innovation designed especially for kids who love sport. Children from 3 to 11 years old and teens aged 12 to 17 can join the programme, which is running on most MSC Cruises ships sailing in the Mediterranean and the Caribbean. The programme offers an exciting variety of sports and active games for all levels, broken down in two daily sessions. The programme has been designed in collaboration with King’s Active, the UK-based company expert in designing engaging and fun youth activities to inspire the sports stars of the future. Alongside this addition, starting this summer season MSC Cruises has also introduced “DOREMI Chef by Carlo Cracco”, a cooking class designed in collaboration with the two-starred Michelin chef Carlo Cracco. Led by MSC Cruises chefs and the on-board MSC Cruises mascot DOREMI, children aged 3 to 11 will learn, amongst other recipes how to make homemade pasta from scratch while receiving plenty of cooking hints and tips from the globally renowned chef. Upon completion of the course, each child will receive an official mini-chef certificate signed by Carlo Cracco himself, the perfect memento for their MSC Cruises holiday. 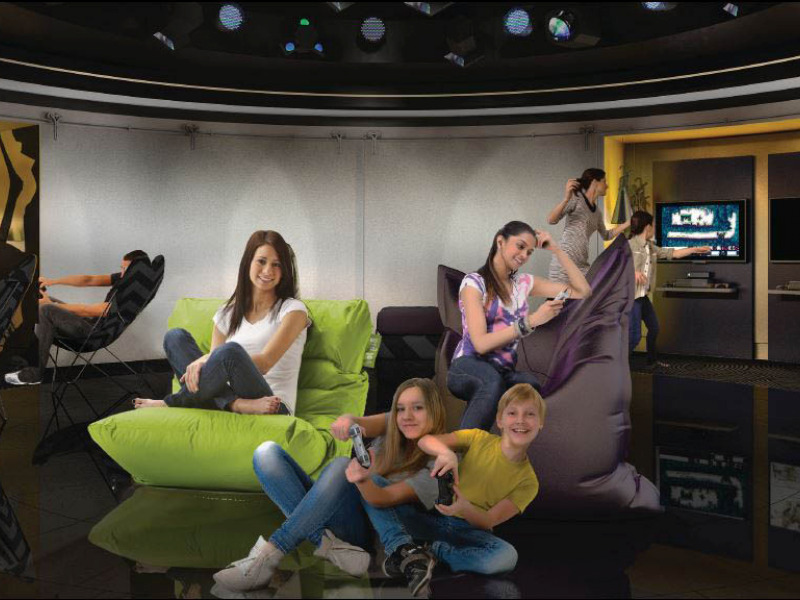 Finally, amongst other features, MSC Cruises offers its guests a wide range of on-board entertainment especially for kids, developed in collaboration with the LEGO Group, the world’s leading toy producer. As part of this ongoing relationship, LEGO Group has also recently launched a very special LEGO® MSC Cruises toy of MSC Meraviglia – the Company’s new next-generation smart ship that launches in June 2017. This toy – which is available for sale at the on-board MSC Cruises Logo shop – will make the perfect souvenir for any child who can then relive anywhere his or her MSC Cruises holiday in a fun and creative way. MSC Cruises also offers, amongst other features, a range of services for babies and young children including the Mini-Club for children under 3 as well as a dedicated childcare service giving parents the freedom to enjoy the ship, safe in the knowledge that their children are being cared for by dedicated and highly trained staff. Many of these services are offered in collaboration with Chicco® – the leading global baby brand and yet another exclusive MSC Cruises partnership. At the end of the day children will graduate with a LEGO diploma and be presented with a souvenir certificate by the LEGO Sailor mascot – verifying that they are now a Junior Master Builder. ‘LEGO Day’ won’t be the only opportunity children will get to play with the famous plastic brick on-board. Special play areas and clubs are now available on every ship and have been specially designed in cooperation with the LEGO group and offer up to 100m2 of creative play space. These come in two forms, Mini Club for the smaller children with LEGO and LEGO DUPLO themed soft play areas, and Junior Club for slightly older children with interactive play walls and videogame zones. For the younger children and babies, Chicco helps parents handle the schedule of a baby’s day from feeding, napping to changing and more. MSC Cruises has made available through this partnership a wide choice of childcare equipment to make cruising even easier and stress-free for families with babies and toddlers. The DOREBRO sports programme also caters for kids at different skill levels, so everyone is able to enjoy a variety of sports to suit them. From fun introduction activities, engaging sports tournaments and sports and social games designed for teens, children can take part and celebrate achievement in something challenging and specifically designed for them. The DOREBRO sports programme is already available on seven ships in MSC Cruises fleet, and by the end of July will be available on a total of nine ships.